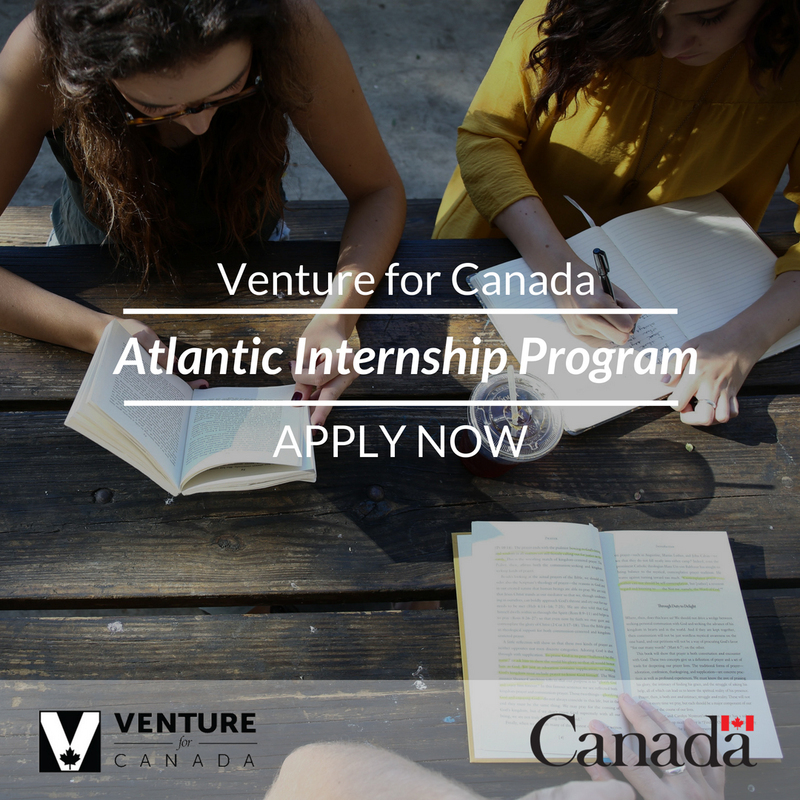 Venture for Canada is seeking innovative students and companies to take part in our new Atlantic Internship Program. Student and Company Applications are now open! Our first cohort of interns will begin their placements in September 2018, with new work placement groups starting every four months. Further information can be found at www.ventureforcanada.ca. Schedule: 50 placements this fall from Atlantic Canada; 100 more in January 2019. For the September cohort, students should ideally apply by June 22nd (open until July 13), and companies by June 30th. The program is an opportunity to build bridges between standout students and growing businesses in Atlantic Canada. After a rigorous selection and training process, students will be matched to companies for 16-week paid work placements that include an innovation component. Students will be tasked with identifying and proposing solutions to a real challenge in their host company. The Ideal Company is growing and adaptable. They already employ more than five people at an office in Atlantic Canada. With the support of our $5,000-7,000 wage subsidy, the organization will be able to take on more students than ever, or engage a student for the first time. The Ideal Student has dreamed of owning their own business; always has a side-hustle on the go; or desires to explore an entrepreneurial work environment before graduation. We’re looking for ambition, individuality, and creativity. Click here to download a PDF for more information, or view it interactively below. Click here to visit the Venture for Canada website.